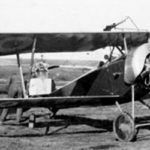 Following the recent releases of the WW1 Wings of Glory Rules and Accessories Pack and the first WW1 Airplane Packs, Ares Games announces the next additions to the WW1 Wings of Glory line. They will include two WW1 Wings of Glory Duel Packs, complete sets with two miniatures and everything needed to start playing, and 12 new WW1 Airplane Packs, featuring the planes Fokker Dr.I, Sopwith Camel, Albatros D.Va and Spad XIII, each of them in three different versions. These new items are scheduled to be released by the end of 2012. WW1 Duel Packs: two miniatures and everything needed to start to play. 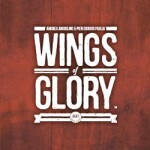 The WW1 Wings of Glory Duel Packs will be available in two versions: Fokker Dr.I vs Sopwith Camel (piloted by aces Manfred Von Richthofen and Arthur Roy Brown) and Albatros D.Va vs Spad XIII (Paul Baumer and Frank Luke Jr.). Beside the miniatures with special gaming bases, each set will feature a rulebook with Basic and Standard rules, maneuver and damage cards, 40 counters, two measuring rulers and two airplane consoles. The packs will also contain Target, Trench and Anti Aircraft Machine Gun cards, to allow playing a number of different scenarios. The WW1 Duel Packs suggested retail price is estimated to be US$ 30. The new WW1 Airplane Packs will present the Fokker Dr.I in versions piloted by Manfred Von Richthofen, Hans Kirschstein and Lothar von Richthofen, the Sopwith Camel of William Barker, Aubrey Elwood and Harold Francis Stackard, the Albatros D.Va of Ernst Udet, Hans Joachim von Hippel and Josef Carl Peter Jacobs, and the Spad XIII of Edward Rickenbacker, Marcel Coadou and Georges Félix Madon. Each pack features a ready-to-play model, painted and assembled, and includes a special base with gaming stats, a variable altitude flying stand, and a specific deck of maneuver cards. 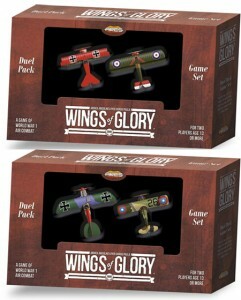 More information about the WW1 Duel Packs and the next Airplane Packs will be soon available here in Ares Games website.